There are two schools of thought on property ownership with many seeing it as one of the best investments you can make while others insist it is a liability. There are merits to both arguments and we will explore these in this article. Your home is your castle, as they say. Apart from the office, most of us spend the majority of our time in our homes. For most people, it gives them a sense of pride as well as security. You raise your kids there, entertain friends and family or relax with loved ones. Owning your own home means that you do not have to deal with landlords and you can decorate and personalise it to your tastes. You can sculpt the garden the way you want it and even extend or renovate the building if you so wish. None of this is possible when you rent. Investments are financial in nature but the emotional value of owning a property can not be discounted. 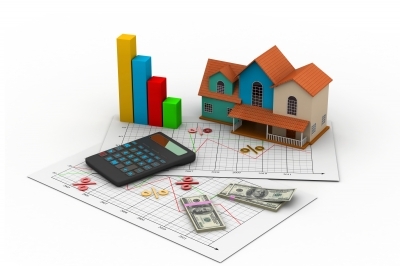 As important and pleasant as these factors are, they do not make your property an asset. Emotional attachments aside, there are many factors to consider when investing in a home that you expect to be an asset. If you buy a house at a good price in the right area it is highly likely that you will enjoy good capital appreciation. It is important to note that it is a medium to long term investment. Due to the initial costs and selling expenses, you would generally need to hang onto the house for at least eight years to see a profit. Consider your lifestyle and the volatile job market that often requires one to relocate for work reasons. The key is buying at the right price in the right area. The cliché location, location, location is absolutely true. Extensive homework is necessary. Past performance does give you some indication but is no guarantee of future growth. As we have seen in many international markets as well as closer to home, some area have seen the bottom fall out of the property market leaving people owing significantly more on their property than its true value. One of the intrinsic benefits of investing in property is that you need somewhere to live and the house you buy will provide this. This means, however, that you sacrifice the income you could receive if you invested in stocks or other income generating options. Paying off a bond on a house that increases in value will ultimately provide more return than paying rent for many years. You have to look at all the additional costs of home ownership in order to make an informed decision. Ongoing expenses such as interest, rates, maintenance and renovations, insurance and other costs all have to be factored in when weighing up the options. Diversification is also essential so if you do decide on investing in property, ensure you have some money available to make other investments so that the risk is spread over a range of asset classes. The bottom line is that there is no accurate answer. It is great to own property but do not blindly assume it is an asset. Do your homework and buy wisely and it should give you many years of happiness while growing in value at the same time. Get it wrong and it will erode your wealth.